No stranger to record-breaking feats, on May 24 2008 the mother of two completed the 7 Summits with her daughter Nikki.� Cheryl and Nikki became the first-ever� mother-daughter team to reach the summit of the world’s tallest mountain, Mt Everest. Upon reaching the top, they also became the first mother-daughter duo to complete the Seven Summits. Of the 3,500 or so people that have to date climbed Mt Everest (8,848m), approximately only 10% of those are women. Cheryl was never a sports fanatic or even an adventurer before attempting the Seven Summits. When she is not mountaineering or hanging out with polar bears, Cheryl is a lawyer and company director. Her board appointments include Chairman of ANZ Trustees, member of Local Organising Committee AFC Asian Cup Australia 2015 Ltd and director of the� Australian Himalayan Foundation. She is a non-executive Director on a number of boards including the ABC, Spark Infrastructure Ltd and ETSA Utilities.� Past Chairperson positions include South Australian Film Corporation, Environment Protection Authority (EPA, SA) and Founding Chairman of Adelaide Film Festival. She was also Director of the Economic Development Board (South Australia) from 2002 – 2008. Cheryl supported two charities in her quest:� the� Australian Himalayan Foundation and the� Chris O’Brien Lifehouse – a new cancer-only hospital in Sydney’s Camperdown which opens in September. The Chris O’Brien Lifehouse at RPA will provide a holistic model of care to people living with cancer. Cheryl embarked on her journey to the North Pole on 14 April, reaching true north at 1am, 22 April. She will be available for interviews this week following her departure from the North Pole. For images and further information visit Cheryl’s blog:� http://www.cherylbart.net. Tuesday, 23 April, 2013: Multi Channel Network (MCN) in collaboration with Telstra’s BigBond Music, is today announcing a number of live music events across Australia as part of a new integrated campaign with HTC for the launch of the new HTC One, in stores today. The Live@HTC campaign will host a series of intimate gigs at� Hi Fi bars around the country, showcasing a selection of internationally acclaimed home grown talent such as Temper Trap and Birds of Tokyo. Since tickets went on sale last week, Temper Trap has already sold out. All music events will be filmed by Speaker TV and then distributed across the MCN network and Tbox. The new HTC One campaign showcases the smartphone’s innovative features and pioneering technology, which helps consumers bring ideas to life. MCN Strategic Integration Director Elizabeth Minogue said Live@HTC is the largest integrated campaign rollout for MCN and Telstra since the deal to manage Telstra’s online assets took place last year. “We’re delighted to celebrate our relationship with Telstra with this exciting new campaign,” she said. “Live@HTC demonstrates the power of an integrated, multi-platform network and how this approach can help build significant brand awareness. “By distributing content on-air, online and via mobile assets to a targeted audience, we’re building huge interest around the gigs that’s already resulted in one selling out. Telstra Media Director – Digital Media and Content, Adam Good, said: “The HTC campaign is a fantastic demonstration of the cross-platform partnership and collaboration that we’re building with MCN. “The calibre of artists and integrated content across all screens is yet another strong example of the direction we are moving in to create bespoke solutions for our clients,” he said. Temper Trap will be playing in Brisbane on Monday, 6 May. Birds of Tokyo will be performing two shows – Melbourne, Wednesday 22 May and Sydney, Thursday 23 May. HTC will hold a further five shows featuring smaller acts. Tickets cost approximately $50-$60 each. Fans can follow the gigs on� facebook.com/HTCAU, where they can also have the chance to win FREE tickets. Sydney – 18 April 2013: Annual ideas festival, TEDxSydney, has launched a satellite event program, allowing anyone to tune into the full day of inspiring talks and performances on 4 May 2013, live and for free, by registering a venue on the TEDxSydney map. The unique program will see thousands of people around Australia and the world set-up open or private events in their home, workplace or in public venues to participate in the day’s activities. There are already more than 30 satellite events lined up in Sydney, Melbourne, Peru, Germany, and the US – with more being added daily. 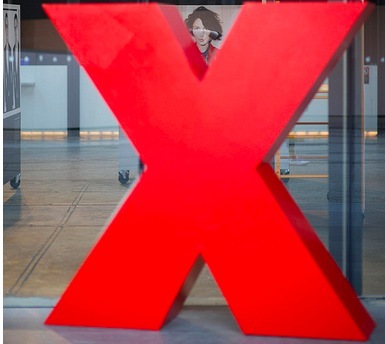 Some of the major TEDxSydney satellite events planned for this year include The TEDxSydney Lounge Networked by The Loop, TEDxSydney at HUB Sydney, TEDxSydney Live Simulcast for Young Creatives at Sydney’s Museum of Contemporary Art, IDEAS WORTH STARTING – Hosted by the University of Sydney Union and University of Sydney, and a satellite event hosted by Universidad de Lima. Head of TEDxSydney, license holder Remo Giuffré said the satellite events program aims to give an even bigger platform to the powerful ideas presented on stage. “The spirit of TEDx events is sharing worthwhile ideas – and we’re always looking for new ways to involve an even wider audience in the conversation. Now in its fourth year, TEDxSydney continues to grow and as always we were overwhelmed by the number of applications to be part of the audience this year. We’ve already tripled our live audience capacity to 2,200 by moving to the Sydney Opera House in 2013. We see the satellite event program as a means of leveraging it further again by allowing the members of our growing community to host their own event. “The quality of the audience conversation is an essential part of the TED DNA. The satellite events program is not just about creating a live stream – it’s about giving those who are passionate about ideas the ability to engage with a diverse community of equally passionate people,” said Remo. Satellite Events Coordinator, Josh Stinton, said satellite event organisers can create their own event of any size and tailor the experience to address their audience in the most meaningful way. This includes having a dedicated MC to facilitate discussion with their attendees, hosting their own speaker panels, performers, or simply watching the talks and discussing in real time. The programming will blend talks with interspersed performances as well as artistic video segments. For the full speaker and performer lineup see: www.tedxsydney.com Anyone can be part of the online conversation and the Twitter hashtags for the day are #TEDxSydney and #TEDxSydSat. About TED: TED is a nonprofit organisation devoted to Ideas Worth Spreading. Started as a four-day conference in California 29 years ago, TED has grown to support those world-changing ideas with multiple initiatives. At TED, the world’s leading thinkers and doers are asked to give the talk of their lives in 18 minutes. Talks are then made available, free, at TED.com. TED speakers have included Bill Gates, Jane Goodall, Elizabeth Gilbert, Sir Richard Branson, Benoit Mandelbrot, Philippe Starck, Ngozi Okonjo-Iweala, Isabel Allende and former UK Prime Minister Gordon Brown. The TED Conference takes place every spring (along with a parallel conference, TEDActive). TEDGlobal is held each summer in Edinburgh, Scotland. The TED.com platform recently exceeded over 1 billion views of their online talks. About TEDxSydney: TEDxSydney is an independently organised event licensed from TED by longtime TEDster, Remo Giuffré and organised by a network of fellow thinkers and long-time collaborators. TEDxSydney is made possible by the generous contribution of its partners, sponsors & volunteers. Wednesday, 17 April 2013: Australia’s advertising and marketing industry professionals don’t consider themselves glamorous or cool, aren’t particularly stressed and rarely take a long lunch, according to myth-busting research released by The Source, a new guide to Australian advertisers and creative agencies. The research, which provides a snapshot of Australia’s multi-billion-dollar media, marketing and advertising industry, also found that 81% of respondents don’t feel they’ve put the GFC behind them – with more than half (52%) claiming we aren’t yet out of the GFC and a further 29% saying they weren’t sure the GFC was over. Only 9% of respondents described their workplace as ‘glamorous’ and just 18% said their workplace is ‘cool’. The majority said worklife was ‘fun’ (44%) and ‘creative’ (42%). Less than a third (29%) of respondents claimed their workplace is ‘stressful’. Of those who said they were stressed, most (39%) work in the media industry. Only a little more than half of professionals surveyed (52%) said they go out for a paid business lunch more than once a year; and fewer than 6% claimed to dine out for business once a week or more. 68% of respondents said they worked on weekends or ‘sometimes’ worked on weekends. However, the majority of professionals (79%) worked nine hours or less on an average day. Over a third (37%) of marketing and advertising professionals said they have been in a romantic relationship with someone in their industry. Camille Alarcon, Publisher of Focal Attractions’ The Source, said: “For most people outside of adland, the perception of the media, marketing and advertising industry is driven by stereotypes portrayed by TV shows like Mad Men – the suave adman who swaggers in and out of the office between long, expensive lunches. The findings of this research lift the lid on a very different world. It’s fun, creative and less stressful than people imagine. “The media and marketing industry isn’t all just hype and fluff – it’s full of committed professionals who want to explore their creativity in a dynamic and engaging environment. We hope that the insights from this research help shape a more accurate perception of what working in marketing is really like,” she said. Ms Alarcon added that the Australian media, marketing and advertising professionals collectively control more than $13 billion* worth of spending power – which means their sentiment is a bellwether for the health of our broader economy. “Our research reveals that many professionals considered the last year ‘business as usual’, yet the reality is marketing spend has been conservative for several years now with efforts being shifted toward retaining existing client relationships rather than innovation or expansion,” she said. * Total advertising spend, according to the Commercial Economic Advisory Service of Australia (CEASA). About the research: There were more than 480 respondents to the survey, which took place between January and February 2013. Respondents were from marketing, media, advertising, PR, events, experiential and digital professions, with 58% female and 42% male. Those surveyed were all employed at the time of participation, by either an agency, a media entity or within an organisation’s marketing or communications department. Professionals were from a diverse range of age groups and seniority levels, with the majority (41%) residing in NSW. Business owners and freelancers were also included in the Survey. Survey data was sourced and collected by Pure Profile research using a combination of Pure Profile and mUmBRELLA respondents. Launch Group undertook survey development and analysis. About The Source: The Source is a business development tool for media sales, advertising and marketing professionals. It contains essential business and marketing information on the biggest-spending brands and leading creative and media agencies in Australia. About Focal Attractions: The Source is published by Focal Attractions, owner of industry leading titles mUmBRELLA and Encore. Focal Attractions specialises in a range of media and marketing properties, including Mumbrella360, CommsCon, the Mumbrella Awards, and the Festival of Branded Entertainment. Focal Attractions was named 2012 Publishers Australia Small Publisher of the Year; Mumbrella – Publishers Australia Website of the Year 2011 and 2012 and Mumbrella360 – Australian Event Awards Conference of the Year 2012. Sydney, 16 April 2013 –The great majority of Australian’s say they prefer watching real time, live TV, and only 37% generally use social media while doing so. In fact only 12% said they prefer watching pre-recorded television compared to live TV. These are the findings from a report released by ON AIR, the TV guide app that launches in Australia on April 16th. The research surveyed more than 1,000 Australians, asking them about their TV viewing habits. In the US, research by Nielsen shows that 87% of broadcast TV viewers and 93% of Cable viewers prefer to watch TV live as it airs. Research on news consumption by BBC World News from ten countries, including Australia, found that at its peak time of 7pm, TV use is 50% higher than for any other device, and that mobile device usage peaks at around 1pm. The research also queried viewers on their social media habits. It found that only just over one third of viewers (37%) generally use social media while watching television. Overall, very few Australian’s prefer to use social media while watching television, with only 9% saying they use social media while watching their favourite drama, and only 6% saying they use social media during live sports programs. Less than one in ten (9%) say they always prefer to use social media while watching television. Riedel comments: “While some Australian viewers are super social, what we have found is that the great majority want to concentrate on their program not their mobile. In fact, even during ad breaks just 13% of us tend to jump onto social media. The research was conducted for ON AIR by independent research house Pure Profile, as part of the preparation for the launch of the ON AIR TV guide app http://myONAIR.com.au/download which is launching on April 16th. ON AIR is a free TV guide app for iPhone, iPad as well as Android phones and tablets. It is one of Europe’s most popular TV apps, with 1.5 million downloads in Germany, the United Kingdom and five other countries. It was developed by an Australian-German team, and launched by stanwood in Germany in 2010. ON AIR offers comprehensive listings for all Australian free-to-air channels along with images, push reminders, personalised TV recommendations, trailers or videos on YouTube, extensive social media functions and even recording controls for IceTV subscribers. Sydney, 16 April 2013 – App developer stanwood today launches ‘ON AIR’ a new, free television guide app for iOS and Android devices especially designed for smartphone and tablet users who love TV. Originally developed by a joint Australian-German team, the ON AIR app first launched in Germany in 2010 and is already hugely popular in Europe, where it has been downloaded over 1.5 million times. It has been a number one app in the overall free app charts in three countries, been selected by Apple and Amazon as an ‘App of the Week’ and holds a steady 4.5 star user rating in the Apple App Store and on Google Play. Research conducted for stanwood in February 2013 showed that while 74% of Australian TV viewers are reliant on TV guides to help them choose what programs to watch – only 17% of smartphone users use a TV guide app. ON AIR Managing Director Andreas Riedel said: “While there are a lot of different mobile options already on the market in Australia, we saw a big gap for an app that gives television viewers the information they want, when and how they want it. This app isn’t about bombarding viewers with information, instead we have spent a lot of time perfecting an interface that is simple, fast and easy to use. · The app seamlessly integrates with IceTV digital recording, so IceTV subscribers can record shows with one touch. Sydney, 11 April, 2013: The new season of cult comedic TV series, Pete Boone Private Eye, is premiering exclusively this month on Aurora, Australia’s leading not-for-profit STV community channel, with an entire season created from start to finish by the show’s fans. Pete Boone is about ‘Australia’s worst detective’ and after the TV show went into hiatus in 2012 at the end of season four, a large number of fans demanded to know what happened next. People started asking to create their own content using Pete Boone characters. This led the producers to turn to the fans and let them decide the new direction for Pete Boone. Through word-of-mouth, scripts started rolling in and the crew got the actors on board and then passed it over to the fans. It resulted in breaking up the next season into three trilogies being made by three core fan groups – with everything being written, directed, shot, edited and produced entirely by the devoted fans. The first episode of the new season (season five) is called Made by the fans, for the fans and it will premiere on Aurora on Sunday 14 April at 8.30pm, with the season finishing on May 9 2013. Aurora Programming & Production Manager Corrie McDougall said: “The new season of Pete Boone is a series with a difference. It arose from the passion of its fans – not just as an audience but as the creators of the show itself. The production crew took a huge gamble in letting the fans call the shots, but thanks to the range of young talent it has really paid off. The Pete Boone Producer, David Murdoch, said he did not know what they would receive from fans and they were unprepared for the diverse range of content suggestions they received. “I was thinking dinosaurs or space travel but the fans came up with East Pennant Falls set in 1980s! They sent me the scripts and actor Mark Pereira who plays Inspector Gravel said he’d join in – and suddenly season five came into being. “Everyone had a ball doing it and the fans at the end, with many university students, said it had been the best experience of their lives – everyone just had such a great time,” he said. Sydney – 10 April 2013: Annual ideas festival,TEDxSydney, today revealed the Australian performers who will share their music and passions on stage on 4 May at Sydney Opera House – including a unique and exclusive collaboration between globally acclaimed rock musician John Butler and the talented slide guitarist/singer-songwriter, Jeff Lang. Also amongst the wide-ranging talent to take the stage are: sublime songstress Kate Miller-Heidke, master percussionist Greg Sheehan, oud virtuoso and composer Joseph Tawadros, new music ensemble Ensemble Offspring, world champion beatboxer Tom Thum, SouthernIndian dance specialist Rajeswari Sainath, gypsy/classical violin improviser Veren Grigorov andenigmatic singer, songwriter and performer, iOTA. TEDxSydney Musical Director, Jordan Verzar, says he seeks out performers with new ideas and an original voice. “The TEDxSydney 2013 performer line-up features a collection of Australian artists who are innovative, pushing new ideas and boundaries through their artforms, and who are at the absolute top of their game. The collection of performances this year aligns neatly with the spirit of TED ideology – new collaborations, innovative ideas expressed through music, virtuosity and just plain out and out talent will shine through the day,” he said. <! [if !supportLists]>· � <! [endif]>Ensemble Offspring:Australia’s new music ensemble, dedicated to the performance of innovative music and cross-genre collaborations. The Sydney-based group is committed to a living classical music tradition combining classics of the 20th century with the music of tomorrow from Australia and abroad. <! [if !supportLists]>· � <! [endif]>Greg Sheehan: One of Australia’s premier and most innovative percussionists widely regarded internationally as a leader in his field. As a performer, he is significantly represented in the last three decades of Australian contemporary music as both a live band member and studio musician on hundreds of recordings. Jeff Lang: Australian-based musician Jeff Lang has earned worldwide acclaim as a virtuosic guitarist, a dynamic songwriter and a startlingly distinctive live performer. Blending rock, roots, folk, blues, ballads, instrumentals, improvisation and a devastatingly high level of musicality, Jeff Lang is a singularly unique performer in the world. <! [if !supportLists]>· � <! [endif]>iOTA:� An enigmatic singer, songwriter and performer who has been mesmerising music-loving crowds since the late ‘90s with his extraordinary vocals and charismatic delivery. iOTA can most recently be seen showcasing his extraordinary talents in Baz Luhrmann’s feature film, The Great Gatsby, creating the role of The Orchestra Leader. <! [if !supportLists]>· � <! [endif]>Joseph Tawadros: Joseph and his brother James bring an exciting performing dynamic to the stage, challenging traditional musical forms and pushing boundaries. They have been nominated 9 times consecutively in the ARIA awards for World Music and Jazz Categories and won the 2012 ARIA for ‘Best World Music Album’ for Concerto of the Greater Sea. <! [if !supportLists]>· � <! [endif]>Tom Thum: Armed with just a microphone, Thum pushes the limits of the human voice to create incredible soundtracks of impossible beats and phenomenal sounds, with scratched vinyl, the Michael Jackson back-catalogue, the didgeridoo and an entire fifties jazz band amongst his vocal repertoire. <! [if !supportLists]>· � <! [endif]>Rajeswari Sainath (India): Dancer Rajeswari Sainath’s art has been hailed as carrying an ‘imaginative splendour that goes beyond technique’. Trained in the purist Pandanallur tradition of Bharatanatyam by Indira Rajan of Chennai, Rajeswari has been performing from the age of 10. She continually renews and refreshes her artistic spirit through collaborative performances and through her intense involvement in the development of her students. <! [if !supportLists]>· � <! [endif]>Veren Grigorov: Veren Grigorovbegan his musical adventure at the age of three; his natural dedication to the violin prompted a life of passionate devotion to his instrument and musical frontiers. The Bulgarian born, award-winning violinist/composer immigrated to Australia in 1980. His colourful musical journey has provided rich experiences in orchestral and ensemble, theatre, opera, circus and solo work. About TED:TED is a nonprofit organisation devoted to Ideas Worth Spreading. Started as a four-day conference in California 29 years ago, TED has grown to support those world-changing ideas with multiple initiatives. At TED, the world’s leading thinkers and doers are asked to give the talk of their lives in 18 minutes. Talks are then made available, free, at TED.com. TED speakers have included Bill Gates, Jane Goodall, Elizabeth Gilbert, Sir Richard Branson, Benoit Mandelbrot, Philippe Starck, Ngozi Okonjo-Iweala, Isabel Allende and former UK Prime Minister Gordon Brown. Two major TED events are held each year: The TED Conference takes place every spring (along with a parallel conference, TEDActive). TEDGlobal is held each summer in Edinburgh, Scotland. The TED.com platform has recently exceeded over 1 billion views of their online talks. About TEDxSydney:TEDxSydney is an independently organised event licensed from TED by longtime TEDster, Remo Giuffré (REMO General Store) and organised by a network of fellow thinkers and long-time collaborators. TEDxSydney is made possible by the generous contribution of its partners, sponsors & volunteers. Tuesday, 2 April, 2013: Foxtel’s� showcase channel’s express screening of the first episode of HBO’s Game of Thrones season three broke records last night, capturing a total of 224,000 viewers. The episode, titled� Valar Dohaeris, premiered on Foxtel’s premium drama channel,� showcase at 4.20pm AEDT, only two hours after it was broadcast in the US, with a primetime encore at 8.35pm. In October last year Foxtel partnered with HBO to exclusively screen series “express from the US” including Game of Thrones, Veep, True Blood, Boardwalk Empire and Girls. The two broadcasts of Game of Thrones episode one, season three were the top non-sports programs on Subscription Television for Monday, 1 April. The encore episode was the seventh highest rating program that day on the network. Multi Channel Network Strategic Integration Director Elizabeth Minogue said GOT’s season three premiere success was a result of Foxtel’s significant investment in premium content “Express from the US”. BMW, Telstra and Audi have sponsored the return of Game of Thrones.